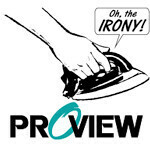 In a legal twist that has more than a dash of the ironic in it, Proview is now being sued by its creditors, claiming that they should be the ones that own the IPAD trademark. Fubon Insurance, of Taiwan, took Proview to court last week to try and liquidate Proview’s assets. That move lead to the eight banks that are handling Proview’s bankruptcy to quickly start to portion out the assets – you know, just to make sure everyone gets their fair piece of the pie. Who says fate doesn’t have a sense of humor? This wouldn’t let Apple off the hook (assuming that the final verdict rules against Apple, which may not happen), but it’s starting to look like Proview won’t be able to benefit from any potential settlement or ruling they are able to extract. Also, fair or not, this turn of events strongly reinforces the perception that Proview was a desperate company trying to get some fast cash from Apple, rather than one legitimately protecting its IP. Of course if Apple announces the iSlate HD today you’ll know that Proview’s (or rather, Proview’s Banks’) position is stronger than we thought. But that doesn’t seem very likely to happen. Fubon of Taiwan huh? How funny would it be if HTC was actually the driving force behind behind the suit and Fubon was a false front like the company Apple used to buy the iPad trademark. What do you mean "if"? ALL banks, by nature, are ferocious and greedy. Bad luck for Apple, LMFAO!